The searing, post-apocalyptic novel about a father and son’s fight to survive. a few walk upon the land. we eat what we can find. Canned fruit in high numbers. My younger companion is constantly asking me questions of which the answer I can’t really give honestly. Will we meet some good people? When will the road end and how? When the food is no more will people yonder resort to eating each other? 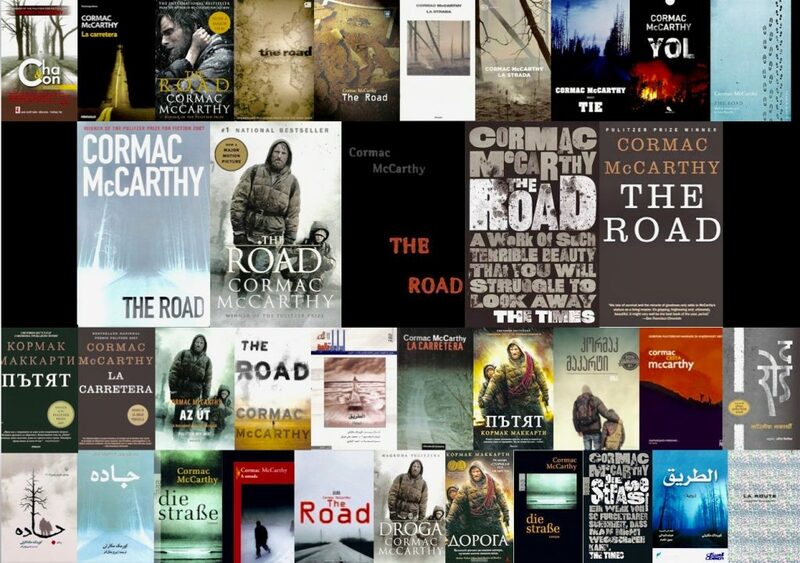 In the quite times when I watch over him at night I read and I contemplate on the parallel life led in a great journey of survival on the road in a world gone to the dead in a book called The road by Cormac McCarthy. the main characters find themselves in the same dilemma. I hoped for the father and son to reach safety and good health. The story captivates and demands your attention in a continuing beautiful prose that provides hours of effortless reading taking you through their plight down a road that ends either in one of two fates safety or death. we shall not part company we die and live together companions on this road. The son in the story also has this want to never be parted, the tragedy they are part of bonds them forever, a closeness that could not have been a fact in the world before the darkness spread upon the earth. I hope this struggle we are midst proves to be a lesson and aids any souls who read of this, those that find themselves too part of a struggle for survival, to not give up hope. retold in time to the masses. For the greatness of the human endeavour, love, bond with hope against fears to survive. The fire is not out! Burning eternally in us and the characters unavoidable fates. Shocking, harrowing and heartbreaking this story was and so is our plight if I only had more time to add to this brief accounting of mine. I must watch over my son while he sleeps for safety from the walking dead. My son must not have knowledge of this walking dead, as i wish for his heart to not beat unhealthily and his nightmares be more harrowing. The flesh of man has never before been of such demand till now since the fallout and breakout. The sense of another world yonder, beautiful and peaceful, beckoning and calling for our souls is a surety an inevitable end that gives me hope and the conquering over the fear of dying. Cormac McCarthy commands the page with a lyrical style, originality and language his own trademark like that of another great writer that comes to mind who has expired but voice alive in his works, William Faulkner. The author is a genius, a true understander and writer of the plight of the people, tragedy, love and war, hopes and fears upon this terrible beauty. A dwelling place on borrowed time.